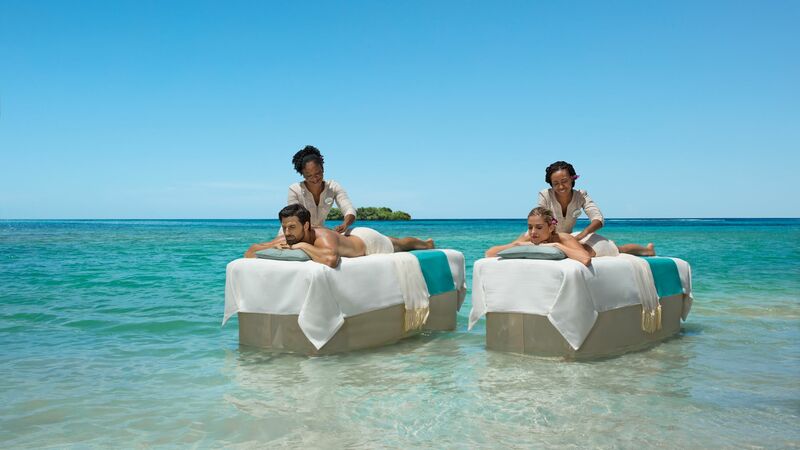 Zoetry Montego Bay is a relaxing paradise set on the shores of Montego Bay in Jamaica. It’s ideal for couples wanting to make the most of the warm sunshine, crystal clear seas, and palm trees, with plenty of opportunities to relax. Adventurers can try some of the watersports available, including kayaking and sailing, while those wanting to explore the area should head to Rose Hall shopping centre, or one of the nearby golf courses. Each of the guest rooms is elegantly decorated, with bright and stylish interiors, direct pool access and beachside locations available. 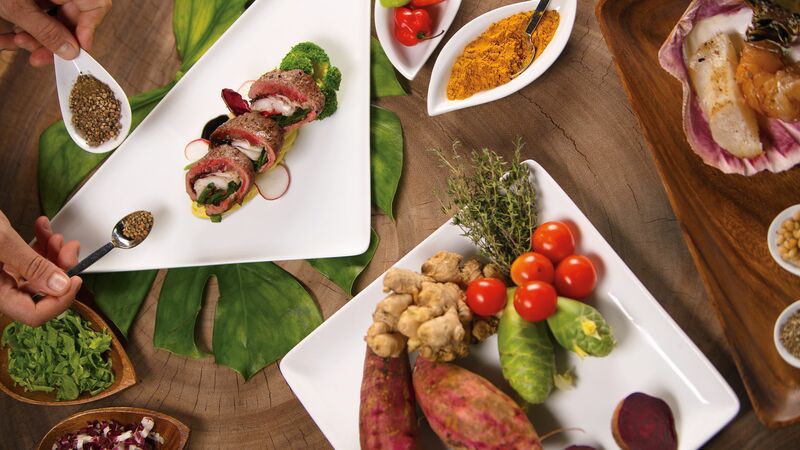 Guests can enjoy a fantastic choice of cuisines, including Mediterranean options, traditional Caribbean jerk recipes, and British small plates. If you want to fully relax, head to the spa, the meditation room or the yoga pavilion. Hotel child prices apply to ages 0–11 years.The hotel has 49 rooms. 'Endless Privileges' All Inclusive includes breakfast, lunch, and dinner gourmet options, unlimited top-shelf spirits and speciality beverages in the hotel bars, a bottle of sparkling wine, and fresh fruit daily, complimentary in-suite minibar refreshed twice daily, Bvlgari bath amenities, 24-hour private in-suite dining, complimentary unlimited worldwide calls, maid service three times daily, complimentary 20-minute wellness experience or fitness consultation, butler service, and complimentary snorkelling tour (one per person, per stay). 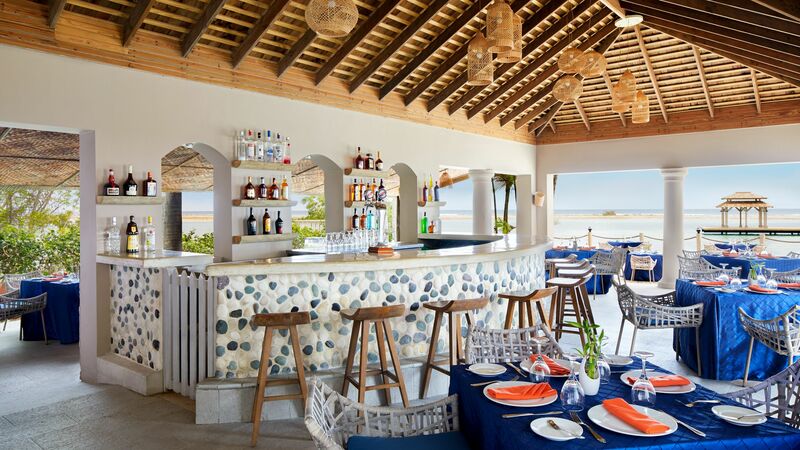 Dine in the elegant terrace area by the sea and choose from a menu of delicious authentic Mediterranean dishes. Open: 12:00 – 16:00 and 18:00 – 22:00. Enjoy the views from the oceanfront deck as you choose from a menu of delicious international cuisines. Open: 07:00 – 11:00, 12:30 – 15:00 and 18:00 – 22:00. Listen to the sound of the piano as you choose from delicious small plates in this English-style restaurant. Enjoy authentic Jamaican cuisine, including jerk pork and jerk chicken, as you soak up the sun with the sand between your toes. 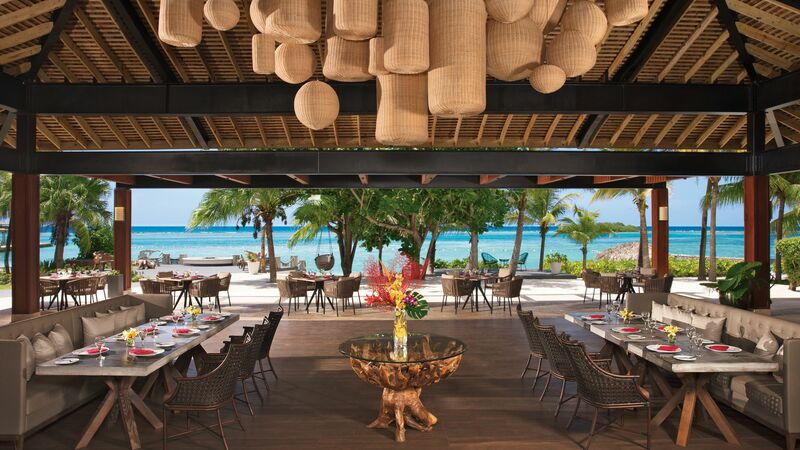 This elegant bar serves up a range of drinks, from local rum cocktails to the finest French wines and champagnes. Available at the spa, this relaxing bar serves up a range of freshly made juices using ingredients from the island’s tropical rainforests. This rustic café is the perfect place to relax and enjoy delicate cakes, and tea and coffee as you take in the beautiful Jamaican surroundings. 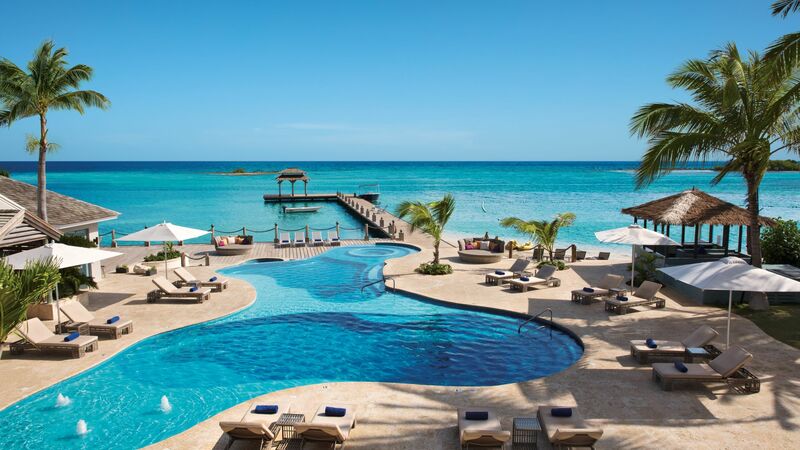 The Zoetry Montego Bay has two lagoon style swimming pools for guests to choose from, each surrounded by sun loungers and luscious palm trees. The hotel’s white sandy beach includes loungers and a calm swimming area, with a deck stretching out into the crystal clear sea. Make the most of the cardio and weight machines at the onsite gym, or try yoga in the peaceful gardens. There is also a meditation area. Private indoor and outdoor massage cabins are the ideal place to fully relax, with massages, facials, rituals and more on offer. 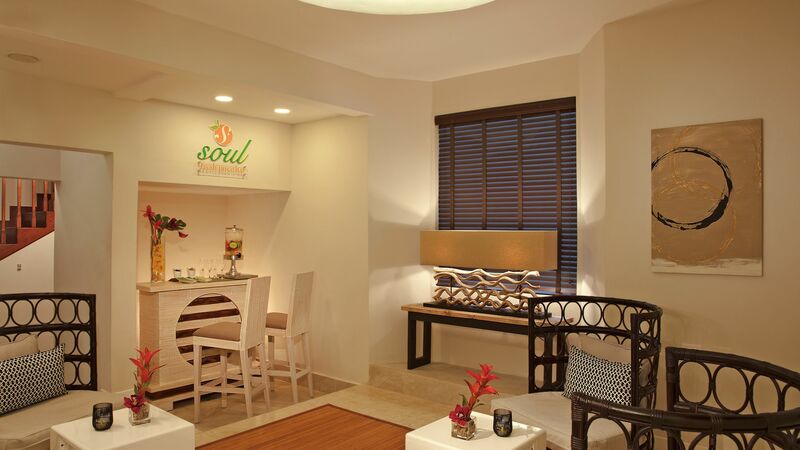 There is also a beauty salon, Jacuzzi, cold water pool and a garden, as well as the Soul Juice Bar. 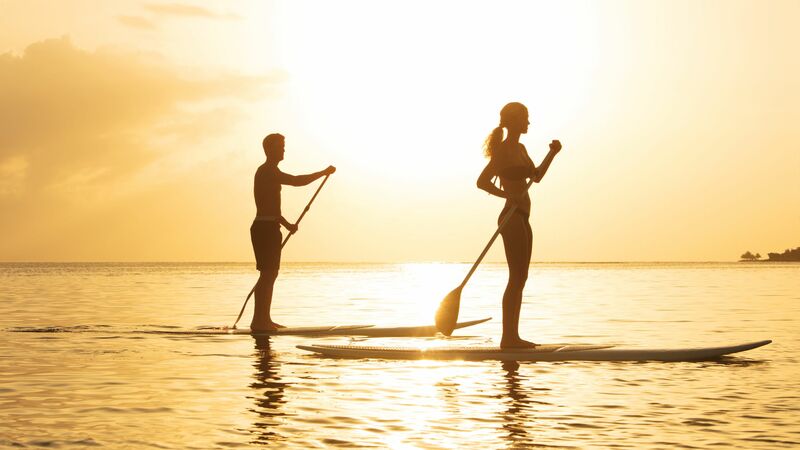 Guests can enjoy the sparkling waters of the ocean up close, with kayaking, stand up paddle boarding, sailing and deep sea fishing available. Head underwater with snorkelling and scuba diving trips. Learn to make bracelets in traditional Jamaican style, or try authentic cooking lessons from the onsite chefs. Patois lessons are ideal for guests wanting to take shopping excursions to Rose Hall and try out their new skills. 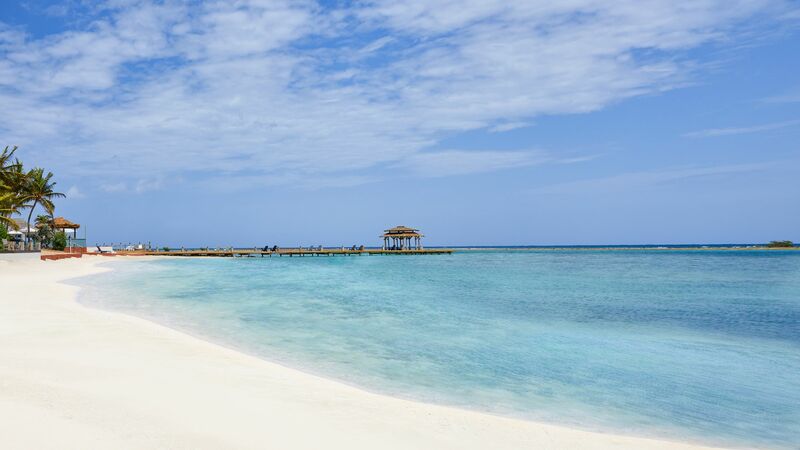 Located on the white sandy beach of Jamaica’s Montego Bay, Zoetry is ideal for adventurers and those just wanting to relax. It’s surrounded by palm trees and luscious forests, with water sports and excursions if you want to explore. Rose Hall is within easy reach and offers a wide range of upmarket shops and boutiques perfect for fashion, souvenir and gift shopping. When it comes to exploring, book a sailing trip or try some deep sea fishing, or head underwater with snorkelling and scuba diving excursions. The hotel is near some fantastic golf courses, with four professional standard options within an hour’s drive. 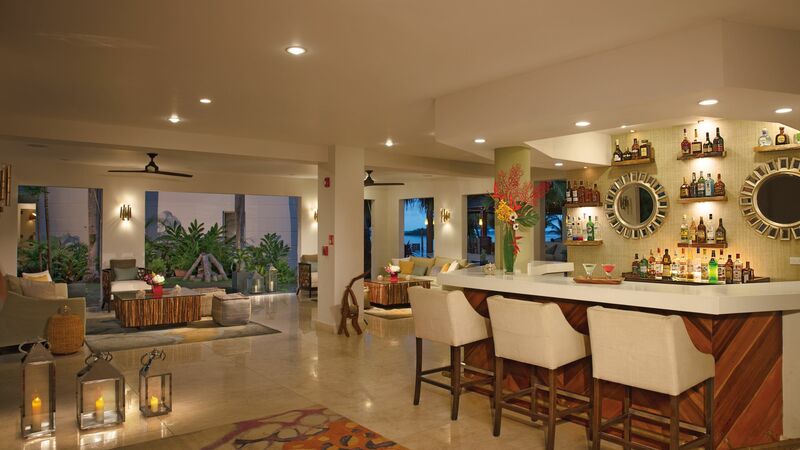 Zoetry Montego Bay is 10 minutes’ drive from Montego Bay Airport. Junior Suites with Tropical View are located on the second floor of either the Wood & Water or Blue Mountain buildings. They feature a king size bed or two double beds and have views of the hotel gardens and resort from the private balcony with Jacuzzi®. Junior Suites with Ocean View are located on the second and third floors of either the Bamboo or Blue Mountain buildings. Rooms feature a king size bed and also boast the additional benefit of a balcony with a private Jacuzzi® with views of the Caribbean Sea. Junior Suites Swim Out with Ocean View are located on the first floor of either the Bamboo or Blue Mountain buildings and have a king size bed. Guests staying in these rooms have direct access to a pool. Master Suites with Ocean View are located in the Blue Mountain building with a king size bed. Guests will be able to enjoy the spectacular views of the Caribbean Sea from their furnished balcony which also features a private Jacuzzi®. Love the resort. Mr. Sunshine at the jerk shack was the best thing about this resort. Serving amazing food and the best customer service. Very relaxing atmosphere with laid staff. Always felt welcome and safe. Third year in a row I visited this establishment and again it was right on target. The food the service the resort all was amazing. If you are looking to chill from real life this is the place, quiet, peaceful and beautiful. Can never get enough, thank you again to all the staff, you guys are awesome . My daughter and I chose Zoetry Montego Bay for my 50th birthday after previously staying at Zoetry Punta Cana and hoped for an equally relaxing resort stay. Our expectations were met and the disappointments were conditions we knew from reviews. This is a calm, quiet, wellness environment with excellent personable service. The joy of meeting new people, conversations and relaxing. Our visit was made extra special by my sisters arrival. The most positive aspect of our stay was the wonderful staff that insured we were enjoying ourselves. We felt like we were with friends. Nicholas was informative and attentive and insured we not only enjoyed the resort, but helped set up the perfect excursion to Breathless and an over the top restaurant reservation at Altitude. He accommodated any request and clarified any question without being intrusive. Professional and personable. He also had our room beautifully decorated with a "Doctor Bird" and Birthday Banner. Additionally, his football skills are not to be messed with :-) Thank you Nicholas for such a wonderful time. Tajay checked on us when Nicholas was off and he too was professional and personable. The yoga themed birthday surprise was lovely. On the fitness side I was impressed by Rolando with his yoga class and engagement..yes I tried pool aerobic and was glad I did. He instructed beginner and advanced modifications and welcomed all levels. We were challenged but not intimidated. We found the fitness instructors superior to our stay in the Dominican. The actual gym is small and the outdoor area limited..but my daughter was able to do her College workout each am without difficulty. Steve on the waterfront was professional and personable. He took us on an informative and fabulous Hobie Cat cruise and was so informative answering many questions about Jamaica in general. He and his staff also tended to my daughter after a knee abrasion with professionalism and kindness. Klaron also assisted our daughter and made our pool area just right each morning after Yoga and breakfast. There were always chairs available and the beach always groomed and clean. We always felt safe and the security patrolled with a smile. Adrianna keep our cocktails coming and cold...with humor and fun. Christines Latte each am were perfect..as were her fruited waters. The resort was clean, safe, calm and we never felt rushed, crowded or that we were a bother. The food was excellent, fresh and we learned about local cuisine and culture. The cons we knew and noticed were - smaller restaurant choice. We were disappointed Canoa was not open for dinner during our stay. You can hear traffic especially in the back rooms. The airplanes were present but not a bother to us. The pool is smaller - but not crowded and we liked chatting with people there. The fitness times and snorkeling conflicted...could not do both in one day. Our ocean view swim out was perfect! However the other set does view the pool more then the ocean. To summarize the resort was exactly what we expected. Clean, cozy, warm, safe, comfortable with great food, service and kindness. We enjoyed ourselves fully. So, with these reviews, I always think it is important to consider what kind of traveler is writing them, and in turn what the readers expectations are when they are traveling. That being said, my wife and I are 52, active, non-smokers, have been married less than a year, and have visited multiple UVC resorts in Mexico, this being a first visit to Jamaica and a first at a Zoetry however. First off, I requested the Club MoBay meet and greet bundle service from the front desk prior to arrival at the airport. Someone was there with a sign with our names on and personally escorted us through customs, into their private lounge, and then to our hotel transfer. A nice little perk if you take the time to request it. A short, no more than 10 minute ride to the property. If you want a small, well kept, quiet property, where you can just relax, have a few drinks, and eat some okay food, then this may be the place for you. All of the staff was very nice and accommodating to all our needs, with Daniel in the Polo Restaurant and Lounge really hustling to serve food and pour drinks while engaging in friendly, lively conversation. The room we were assigned was very nice, and very quiet! 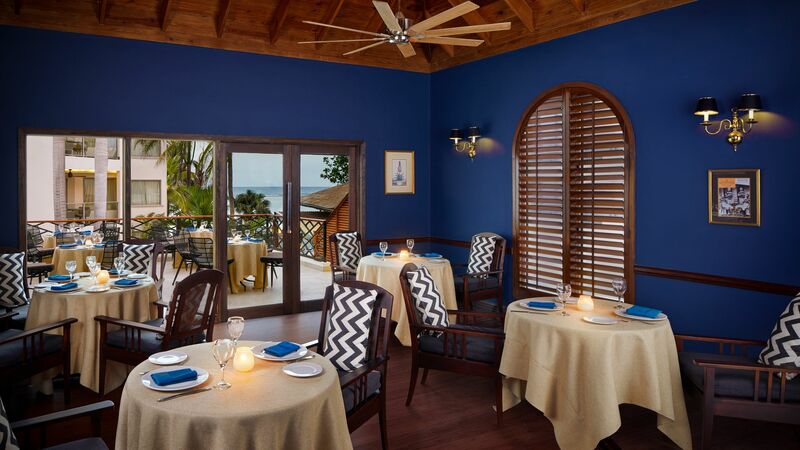 However, I had booked a Junior Suite King Ocean View room, and the only view of the ocean was if you leaned out over the balcony railing facing the Blue Mahoe restaurant and looked to the left. Not quite as advertised, and a little disappointing, but hey, I'm in Jamaica and on vacation right? I am not a food critic by trade, so take this for what it is worth. Being that we were at a Zoetry, supposedly UVC's top end properties, I guess I was expecting a little more food wise. Restaurant options are very limited, but overall the food was good, but not amazing, and selections are somewhat limited. I did try the braised goat, and the oxtail specials on two of the five nights we were there. Tasty and different. 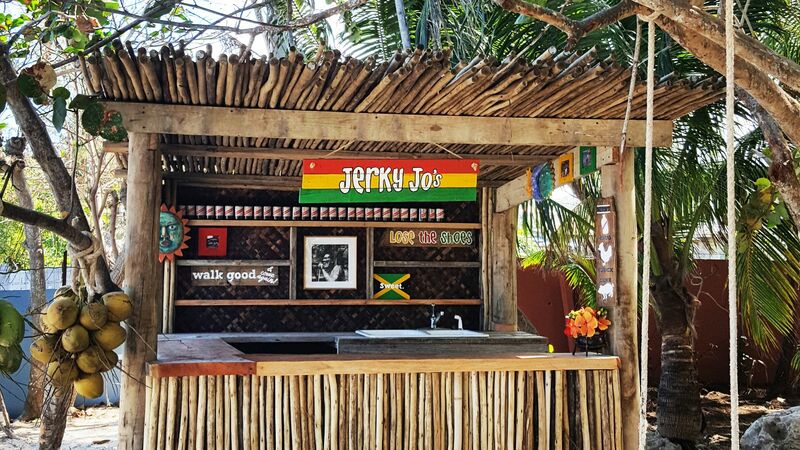 We ate at Jerky Joes "Jerk Shack" on the property for lunch a couple of days, and enjoyed some traditional Jamaican jerk style food on the beach. Gotta love a menu that is "chug, cluck, oink." If you are looking for a party resort, this is not it. If you have kids of any age, this is not the place for you or them either. The entertainment was good, but consisted of only a piano bar singer in the Polo Restaurant & Lounge, and a small band one evening at the Blue Mahoe Restaurant & Bar. I can take or leave the nightlife, so this worked out just fine.